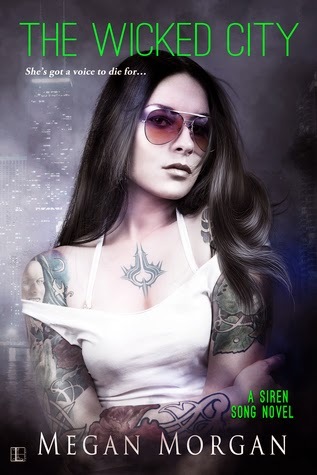 This week's stop is Chicago and our special guide is Megan Morgan author of THE WICKED CITY, the first novel in the Siren Song urban fantasy series. By far, the spookiest thing to ever haunt Chicago was a real life monster, one of the first documented serial killers, H.H. Holmes. Prior to the 1893 World’s Columbian Exposition, he designed, built, and opened a hotel specifically to lure in victims, give him a place to discreetly torture and murder them, and stash their bodies before ‘stripping’ them and selling their skeletons to medical schools. Located on the South Side in Englewood, this ghastly structure eventually burnt down—many think via arson—and a post office was later erected on the site. However, a mysterious tunnel remains below the building, believed to once be part of the Murder Castle. Employees and customers have reported seeing and hearing strange things, and experiencing chills and a random sense of terror. People walking their dogs past the building have reported them acting strangely, either barking wildly at the building or cowering away from it. Chicago’s Excalibur Nightclub (afterwards called Castle Chicago and now closed) on North Dearborn in downtown Chicago was once the site of the Chicago Historical Society, which was ravaged in the Great Chicago Fire—with many hapless victims trapped inside. Now, the building is said to house their tortured spirits. Employees have many stories of strange happenings in the building, from things being moved to being locked in bathroom stalls, and seeing shadows and hearing voices. The Drake Hotel was founded in 1920 and stands near the John Hancock Center on Michigan Avenue. The most famous of its ghost stories is ‘The Woman in Red,’ supposedly a guest who jumped from a tenth story window after catching her husband cheating on New Year’s Eve shortly after the hotel opened. Several documented murders have also taken place in the hotel. Guests and employees claim to be spooked by these lingering souls, forever haunted by the victims who can’t seem to find peace in the afterlife. In July of 1915, the SS Eastland capsized on the Chicago River between Clark and LaSalle Streets, with over 2,500 passengers on board. Of those, 844 died, and were taken to various makeshift morgues set up in buildings around the area. Since that time, their wandering spirits are said to haunt the buildings where they were kept and the area around the disaster. People have claimed to see apparitions, heard sobbing, screaming, and whispering, and seen ghostly children playing along the riverbank; also strange currents in the river itself, as though people were struggling beneath the surface. The historic Chicago Water Tower on Michigan Avenue in Streeterville was one of many old buildings touched by the Great Chicago Fire. According to legend, a worker manning the pumps during the fire and subsequently trapped inside hung himself rather than burn to death. Today, people passing by sometimes see his ghost hanging in an upstairs window, so vividly the police have been called to the site several times. Thank you Megan for giving us such a haunting tour of Chicago! To learn more about Megan Morgan and her books, please visit her website. You can add her Siren Song series here on Goodreads. Have you visited Chicago? Ever experience anything of the supernatural kind in and around Chicago? What did you think of Megan's picks for spooky places? 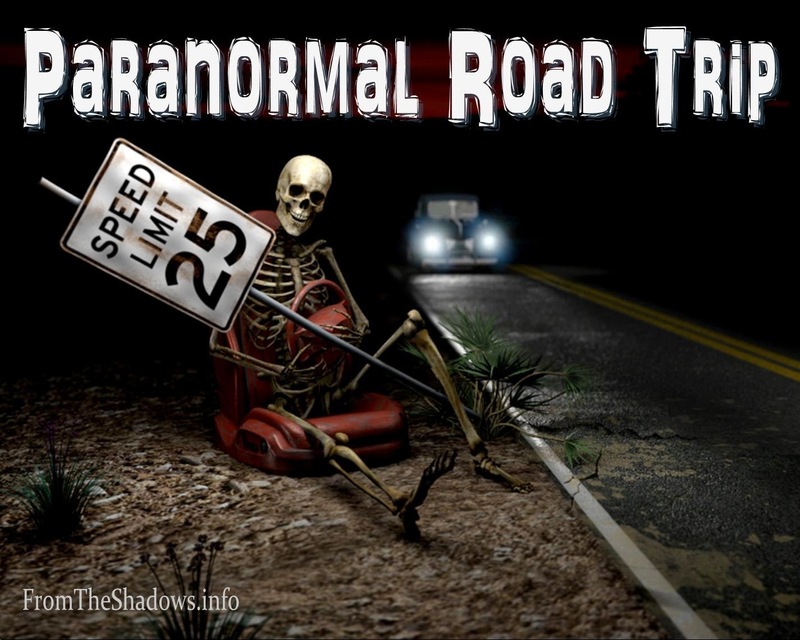 Last week on Paranormal Road Trip we visited Spokane, Washington with Danielle Annett. Next week we'll be traveling to Krymzyn with B.C. Powell. Whoa holy, I had no idea Chicago was so creepy. I don't know which freaks me out more . . . probably "Murder" Castle (EEP), or the Drake Hotel. Murders are scarier that tragedies . . . Anyway, glad I have the rest of the day to push this out of my brain so I don't have nightmares tonight, LOL. Great post! I'd love to someday return to Chicago to visit all of these spooky locations. Road trip anyone? I didn't know about the Eastland River Disaster until I was researching trying to find spooky spots. Yow!